Parsley is a very popular fragrant rich herb for table garnish, a hit in the culinary area and ofter disregarded of the health benefit it brings to our body. Many does not know that this little herbs ar antioxidants and has a property to prevent diseases. And it is highly nutrituous. 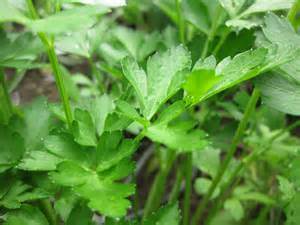 In the culinary art, parsley is often use as garnish for soups, chicken, lamb and steaks. Parsley is also an insect friendly herb. It attracts butterflies to plant their larvae and the caterpillars will only feed on parsley for two week until it turns to a beautiful butterfly. Bees and other insects that fed nectar ofter visit its flowers. 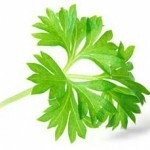 Parsley contains essential oil, Eugenol, that is anti-septic and can cure gum diseases. It is also helps to reduce blood sugar levels among diabetics. Parsley is a good source of potassium, calcium, manganese, magnesium and iron. These small herbs is rich in antioxidants, vitamins, minerals that are needed for your dietary needs. Fresh leaves of parseled can caryy 36 calories only and zero cholesterol and fat. The herb is also rich in vitamins A, C E, K and beta-carotene. Beta-carotene works in the fat-soluble areas of the body. It reduces the risk of developing atherosclerosis, diabetes, and colon cancer. Beta-caroteneis also helpful in reducing the severity of asthma, osteoarthritis, and rheumatoid arthritis. pantothenic acid (vitamin B-5), riboflavin (vitamin B-2), niacin (vitamin B-3), pyridoxine (vitamin B-6) and thiamin (vitamin B-1) vital roles in carbohydrate, fat and protein metabolism by acting as co-enzymes inside the human body. Parsley being rich in vitamin K can make your bones healthy. Vitamin K also plays an important role in treatment of Alzheimer patients through limiting the neuronal damage in the brain. Parsley is also a good source of folic acid that plays an important role in the nutrient for proper cell division that is very importan for cancer-prevention in the colon and cervix. 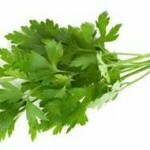 Parsley is good in maintaining a good healthy heart. The herb prevents the growth of homocysteine that is potentially a dangerous molecule that damages the blood vessels and high levels of homocysteine can increase the potential heart attack and stroke to people specially diabetics. Parsley provides protection from inflammatory polyarthritis which is a form of rheumatoid arthritis involving two or more joints. Parsley contains myristicin that inhibits tumor formation in the lungs. So the next time you go the grocery and buy vegetable and fruits, do not forget to get a bunch of parsley and never disregard the health benefit you can get from this nutritional herb.